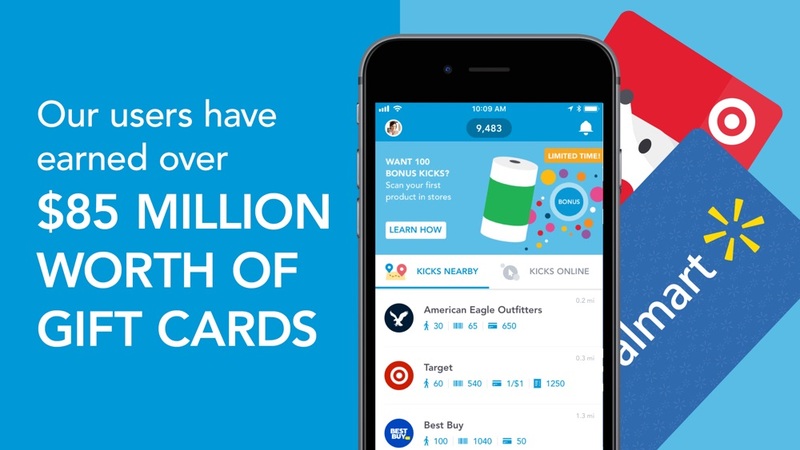 Earn rewards & get FREE gift cards for the shopping you already do! 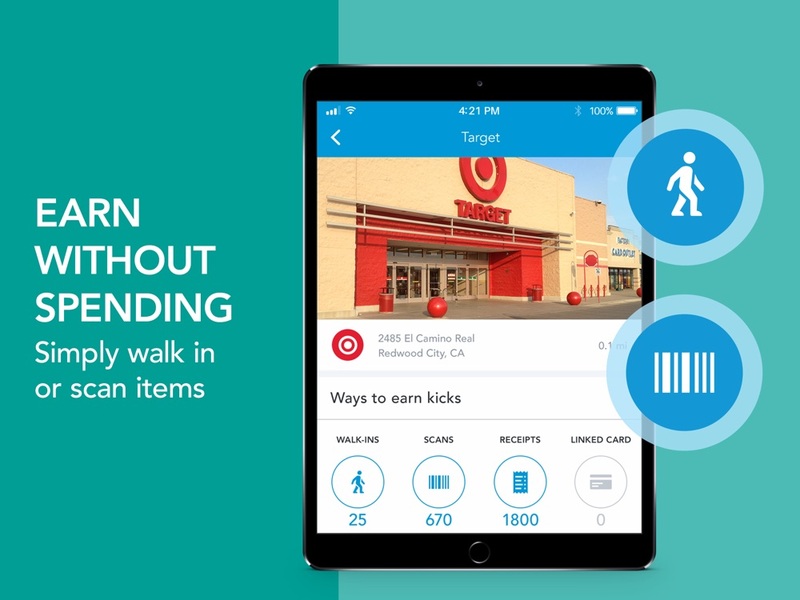 Start earning by walking into stores, scanning items & receipts. Easy! 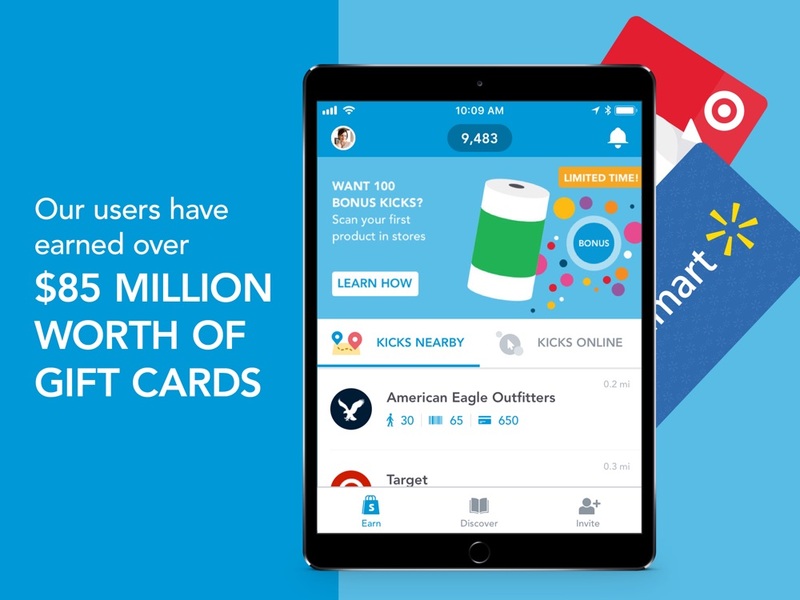 Join the millions of Shopkickers who have earned over $78 million in free gift cards to Walmart, Target, Amazon, Starbucks and more. Earning kicks is easy and fun! Open the Shopkick app when you're out and about on your normal shopping runs. 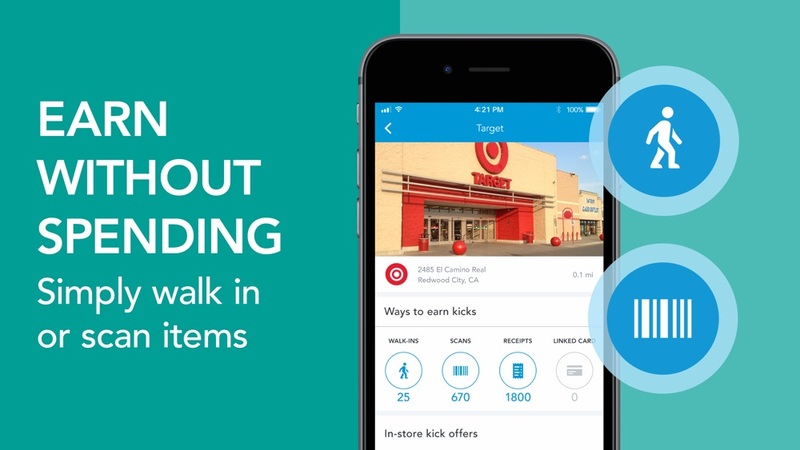 Discover daily challenges to earn kicks just for walking into nearby stores or scanning products in a fun scavenger hunt. 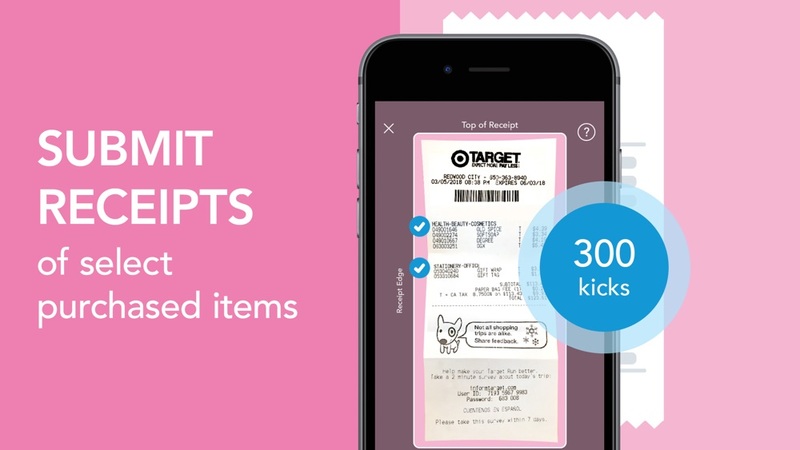 You can even earn bonus kicks if you purchase products and submit your receipt! Cash in those kicks for free gift cards to Starbucks, Walmart, Target, Amazon, Sephora, plus many more! 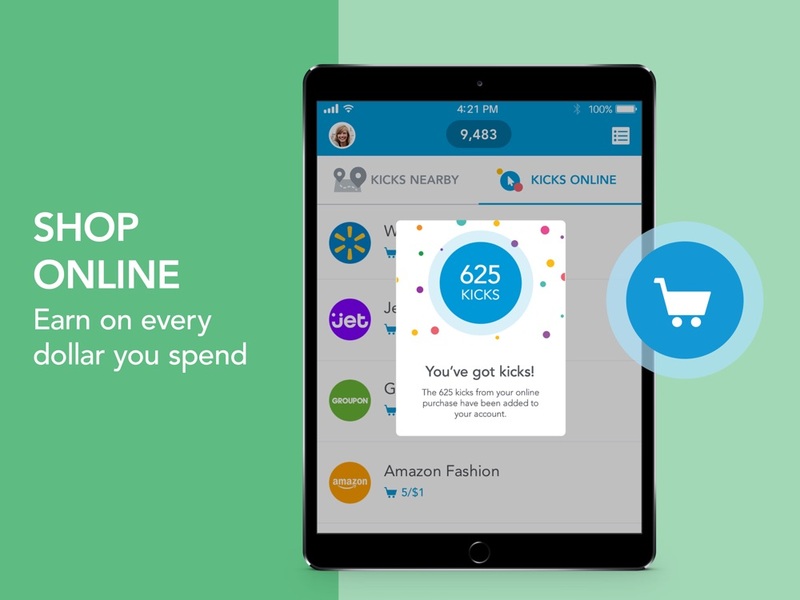 Earn kicks when you buy deals from the comfort of your couch at Walmart.com, eBay, Apple, Hotels.com, Groupon, Booking.com, Expedia, Forever 21, Big Lots, Houzz, Jet, Nike & more through the Shopkick app. Plus we’ve added new stores with deals in the real world too - Ulta & Jockey. New gift card rewards options are now available: Amazon, Uber, Disney, eBay, Groupon & iTunes gift cards join other gift card favorites Starbucks, Target, Walmart, Sephora, Best Buy, TJ Maxx & more. Download now and get rewarded for the things you already do. - improved tutorials for new users. - added new ways to earn kicks. - made it easier to track how many kicks you've earned. 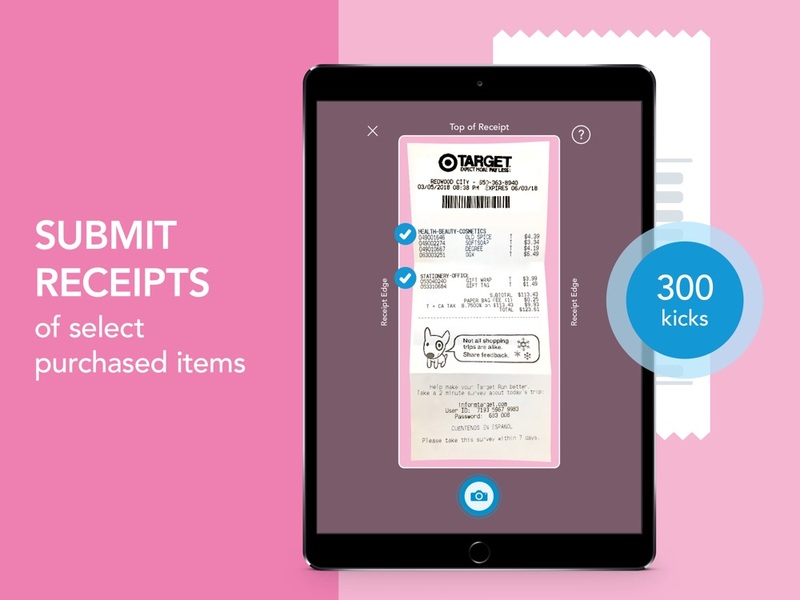 We're adding some new improvements to make it easier to get the most out of Shopkick. We're adding four new online stores; Barkbox, Nike, Under Armour, and LOFT. And you know we're always striving to be our best selves, so we've got lots of behind the scenes improvements and bug fixes.  - A new Search bar, to help you quickly find online and nearby stores that offer kicks. - A new Notification Center where you can find information about daily special offers, achievements, and the kicks you've earned. ... and as always, we’ve been working hard on improving performance and fixing bugs. To help you get the most out of Shopkick we've made improvements to performance, and fixed bugs. No big deal, we've got your back. - A fix for a Quick Kick videos bug. Improvements to performance and bug fixes, to help you get the most out of Shopkick. Start the new year with new performance improvements and bug fixes. Turn your kicks into cash now with our new PayPal redemption option. Redeem cash rewards starting from $5. We’re making sure you have the best holiday deals to help you earn free gift cards, both in-store & online. 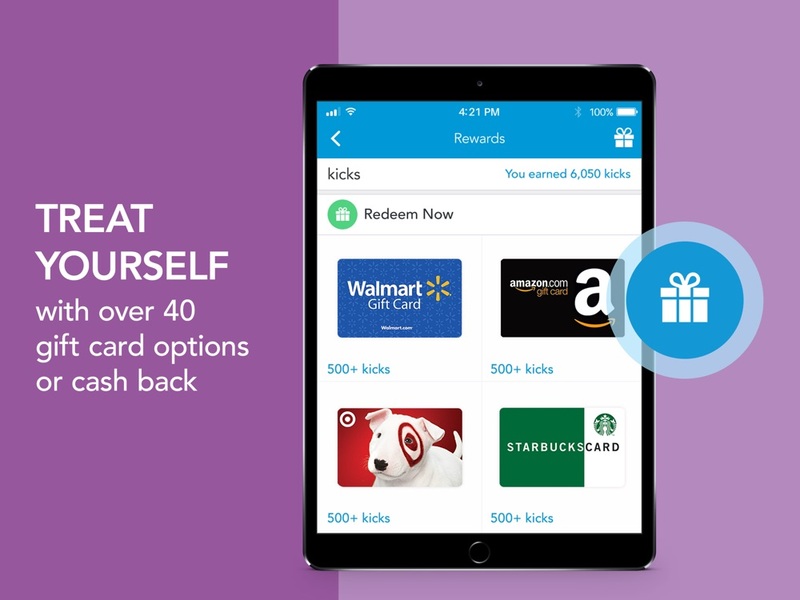 Check out the app for holiday gift guides to help you win this shopping season. We’re making sure you have the best Black Friday Deals, both in-store & online. Check the app to plan out your Black Friday & Cyber Monday shopping. We’re working to make sure you get the most out of Black Friday deals, and we’ve added new online partners like Big Lots, Charlotte Russe, Poshmark and more. With the holidays around the corner, we’ve added ten new online stores like Forever 21, Pier 1 Imports, Gamestop, and more. We have updated our app so you can learn about new products and earn kicks more frequently! Fixed bugs, so you can enjoy more opportunities to Shopkick in-store and online! We have updated our video player so you can learn about new products and earn kicks more frequently! Fixed bugs, so you can enjoy more opportunities to Shopkick in-store and online! 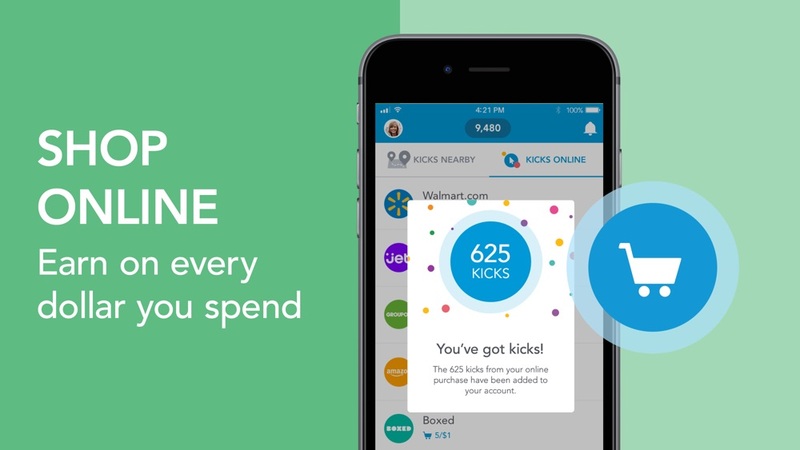 We’re adding more ways to earn Kicks(points) from the comfort of your couch! 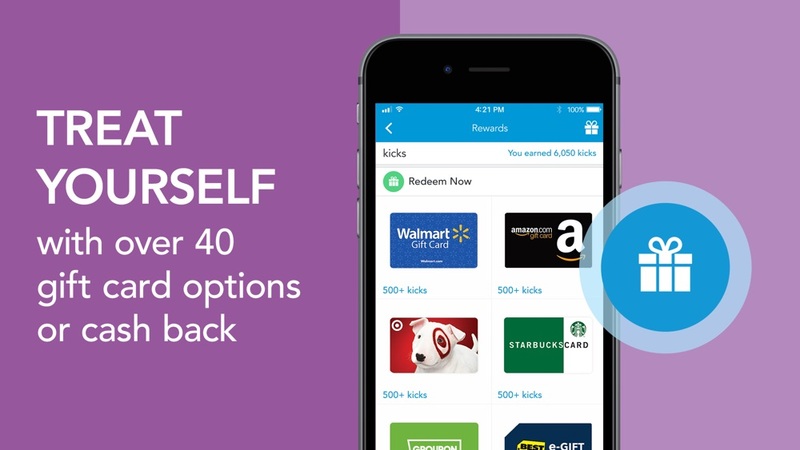 Check in the app for our latest deals and increase your opportunities to earn your next Free Gift Card!